All 30 films plus the OPENING NIGHT FILMS (a Short & a Feature which will be announced closer to the Opening of BelizeIFF scheduled for Nov. 8th – 11th in Belize City) will compete for the Best Film award in their respective categories. The Human Condition: films that focus on the characteristics, events, situations that compose the essentials of human existence; eg. growth, aspirations, conflicts, mortality. Collective Memories: films about people, places and events that have collectively shaped the history of the Caribbean, Central America and Mexico into what it is today. Green Globe: films planet that bring awareness or suggest solutions to environmental issues facing our planet and in particular Belize. The names of the final fifteen MUSIC VIDEOs will be announced later this week followed by a formal introduction to our new environmental category called GREEN GLOBE, a new partnership initiative with Belize’s energetic environmental community. In this, its inaugural year, GREEN GLOBE will be led by the World Wildlife Fund and its environmental partners and their work with Belize’s Barrier Reef and World Heritage Sites supported by the Belize Marine Fund through MARFUND. The films chosen for this category will not be competitive but educational in nature and selected to specifically support the work of ongoing environmental campaigns here in Belize. 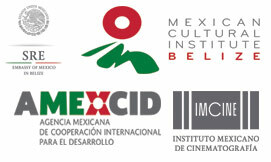 The 2018 Belize International Film Festival is produced by the National Institute of Culture through the Film and Media Arts Unit of the Institute of Creative Arts with the generous support of sponsors such as the Belize Bank, Atlantic Bank, DIGI Belize, Radisson Fort George Hotel & Marina, Best Western Plus Belize Biltmore Plaza, G.A. Roe & Sons, Channel 5 Belize, Simon Quan Ltd., Travellers Liquors, Ka’ana Resort, Big Creek Group, World Wildlife Fund and the Belize Marine Fund along with partners such as the Belize Film Commission, the Belize Audiovisual Industry Association and the University of Belize.